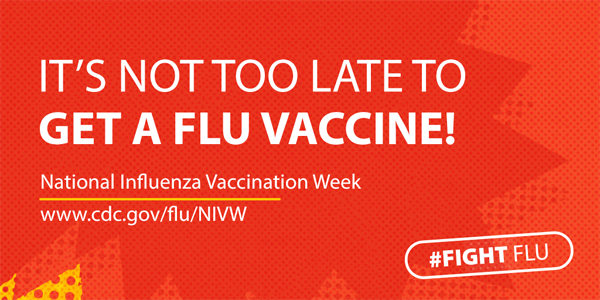 It’s National Influenza Vaccination Week (NIVW)! Did you know that flu season can begin as early as October, it usually peaks between December and February, and it can last as late as May? As long as flu viruses are spreading, it’s not too late to get a flu vaccine to protect yourself and your loved ones through fall, winter and into spring. The Scituate Health Alliance still has vaccine available. Call Town Nurse Amanda at 401-721-6102 to get your flu vaccine today!